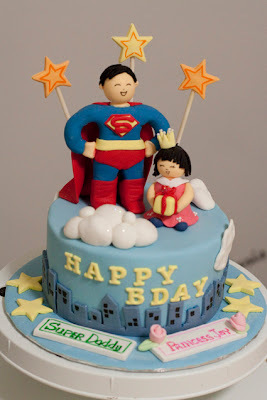 I made some superhero cakes last weekend! My customer wanted a cake for her hubby's birthday. 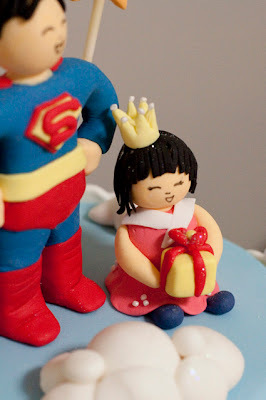 She is so sweet, she asked me to make her hubby as Superman Daddy and her 5 year old daughter as princess because her birthday is just a week after! Super heroes were quite a difficult thing to make actually. 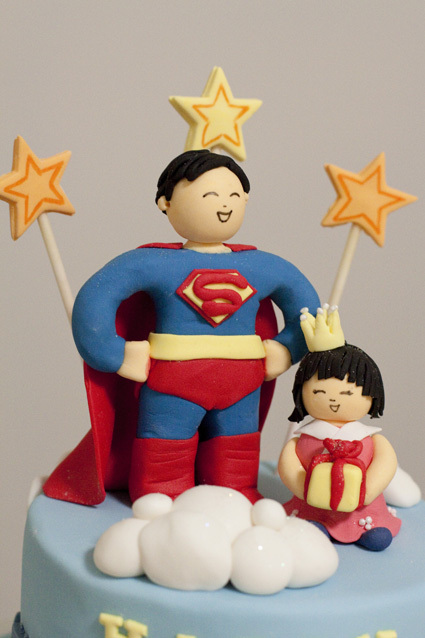 For example, this Superman above is actually the second Superman figurine that I've made for the cake as the first one was too tall and probably a bit too realistic! He has muscles and nice crotch hahaha! I thought it is probably not suitable to put on the cake along with the cute little girl! I quickly remade another Superman to suit the cake design better. A cuter version. I like this cute version of Superman so much I felt like playing with it! I wonder if they kept the figurines haha. Now... another Superhero! 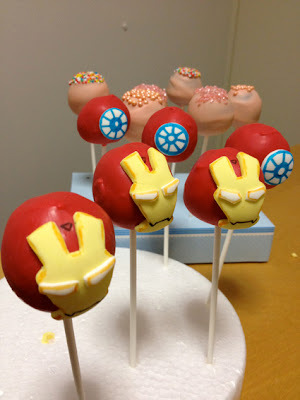 The Ironman on cake pop! 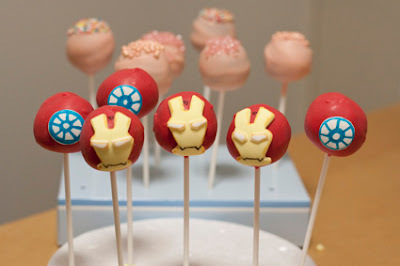 She loves the Ironman cake pop so much she nearly cried! I love seeing people happy~! Wow! 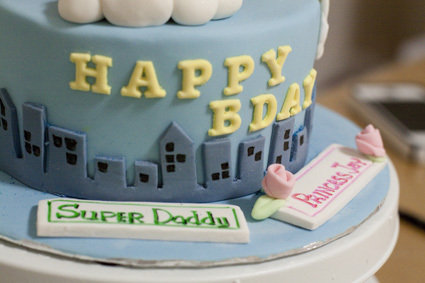 your cakes are beautiful :) im also from perth, may i ask where and what brand of fondant do you use for your cakes? keep up the lovely work!!! But I used other brands too to try out the textures.